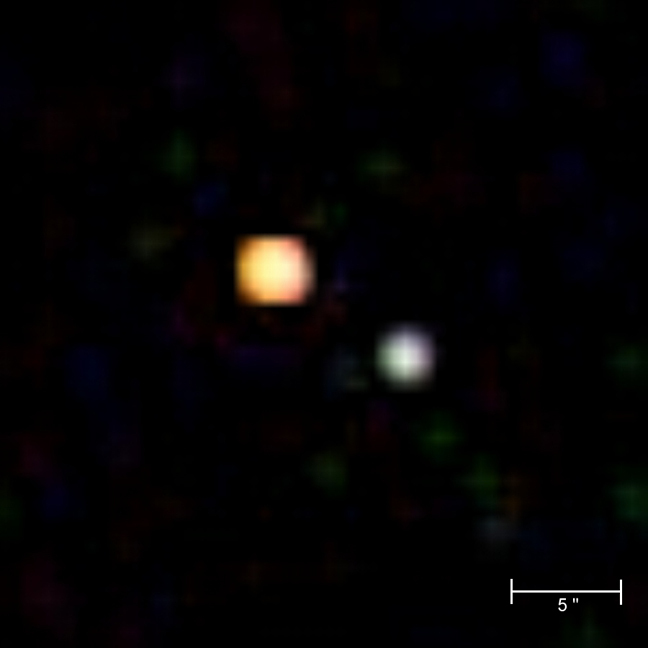 In this image, Chandra's image of the quasar pair can be seen in relation to the wider field of view obtained in optical wavelengths. 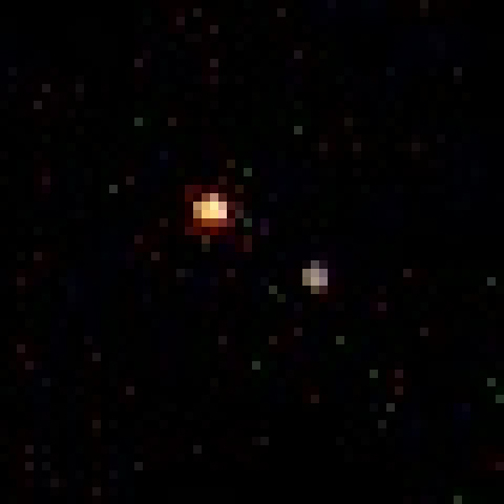 Scale: Optical image is 4 arcmin per side. X-ray image is 30 arcsec per side. 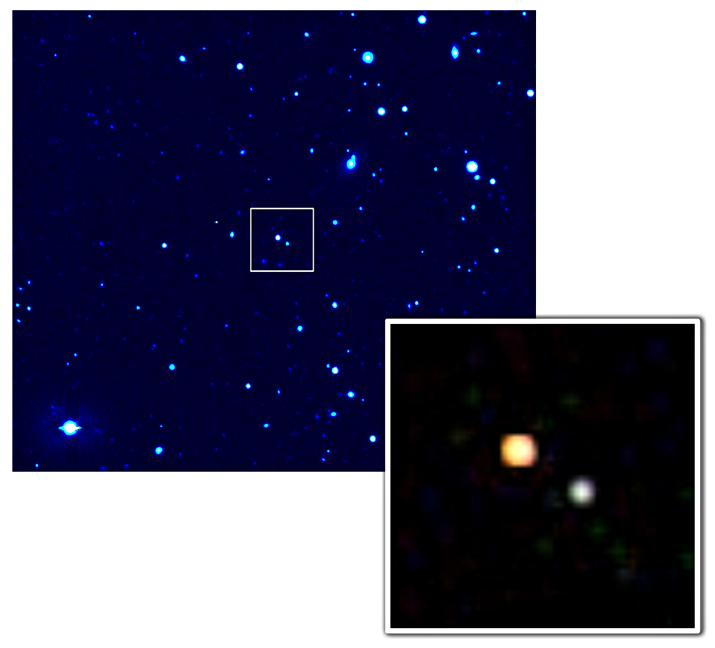 This image shows the region surrounding the quasar pair Q2345+007 as seen by the Chandra X-ray Observatory. Scale: Image is 9 arcmin per side. 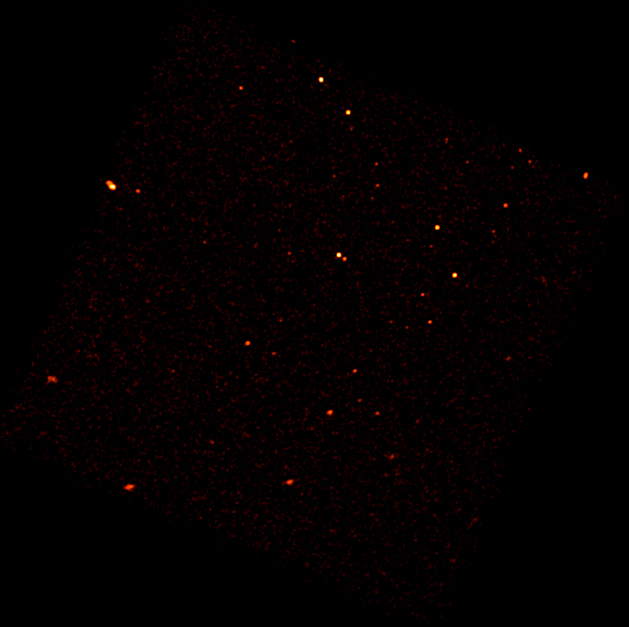 In this minimally processed Chandra image, the colors indicate X-ray energy bands - red (low), green (medium), and blue (high). The object known as Q2345+007 "A" is the one to the upper left. Scale: Image is 1 arcmin per side. 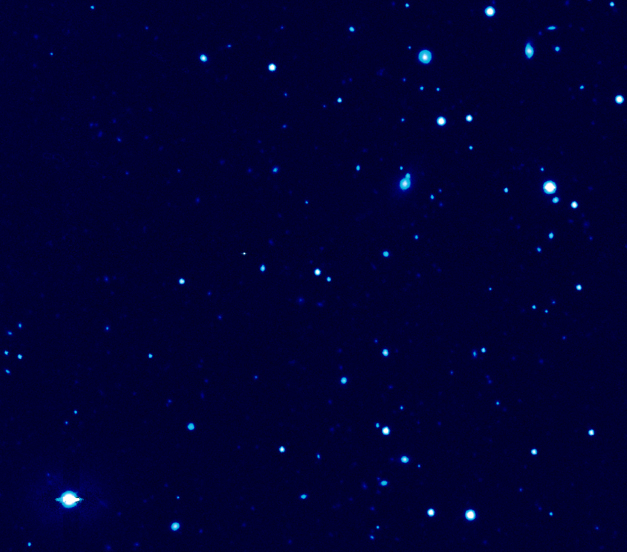 The optical image was obtained using the MOSAIC CCD camera on the 4-meter Blanco telescope at Cerro Tololo Interamerican Observatory in Chile. National Optical Astronomy Observatory is operated by the Association of Universities for Research in Astronomy (AURA), Inc., under a cooperative agreement with the National Science Foundation. Scale: Image is 4 arcmin per side.